Veneration of Relic of Venerable Father Solanus Casey, OFM, Cap. This Tuesday, November 14, we have a special treat for the 5:30pm Mass. After the Mass, we will have the opportunity to venerate a second-class relic of Venerable Father Solanus Casey, OFM, Cap., who will be beatified on November 18, after which he will be known as Blessed Solanus Casey. (Beatification is the step just before canonization.) 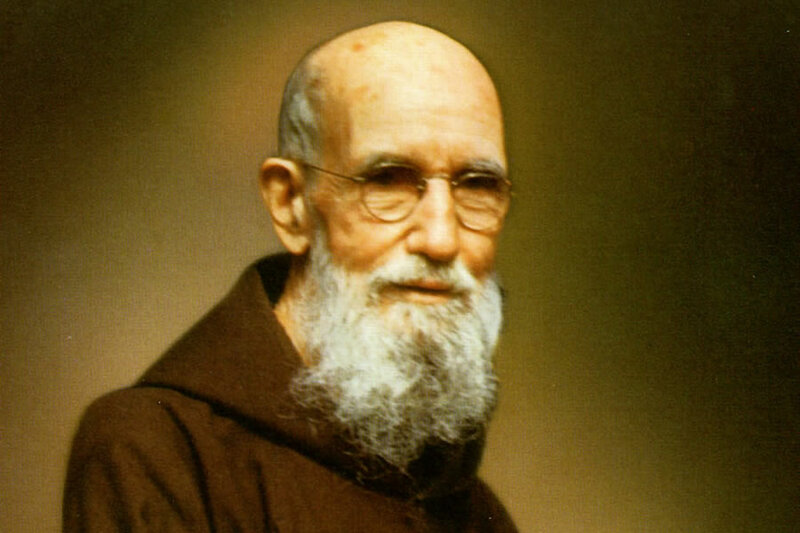 Father Solanus "spent most of his adult life and ministry in Detroit, caring for the sick, poor and downtrodden and lending a listening ear and caring heart to the thousands who came to him for counsel, wisdom and aid" (The Michigan Catholic, May 9, 2017). He truly lived a Christ-centered life that inspired thousands to love God. Long before his death in 1957, people already came far and wide to ask his prayers. Over 8,000 people attended his funeral. Though he died of skin cancer with many lesions, his skin was found healed of the lesions when his body was exhumed. Come to Mass to hear more about this remarkable gift to the Church in the United States – and to the world. Father Solanus Casey, pray for us! Just a note that Wednesday through Saturday, Nov. 15-18, for the ﬁrst time I will be joining the youth from our parish in Indianapolis for the annual National Catholic Youth Conference (NCYC). This is always a great opportunity for our youth to grow in faith and love of Jesus Christ. Please pray for us as we promise to pray for you! Please note a couple of upcoming schedule changes: Tuesday, November 21 at 8:30am will be our school Mass before the Thanksgiving break, (i.e., no school Mass on Wed. the 22nd). Also, on Thanksgiving Day, November 23, Mass will be at 9:00am. There will be no confessions or afternoon Mass this day. Looking further ahead, Sunday December 10, we have a special event for the whole parish. Our Hispanic community is sponsoring our annual Fiesta in honor of the Blessed Virgin Mary, Our Lady of Guadalupe. (We always transfer the Fiesta celebration from the 12th to the closest Sunday.) Please note that the 11:00am Mass this day will be bilingual – English & Spanish, followed by a wonderful Solemn Procession with the statue of Our Lady down Park Avenue and back to the church. After the Procession, everyone is invited to the Fiesta in St. Angela Hall for an afternoon of amazing food, music, and fellowship. Come and you will ﬁnd that the joy of Christ crosses all barriers,even language. Finally, the church shooting in Texas last Sunday is an opportunity to remind us of why we have begun praying the St. Michael prayer after Sunday Masses. May Christ's peace reign and evil cease. Our prayer for peace goes beyond our parish to our nation and to the world.